The problem with pharmaceutical products these days, is that they mask the symptoms rather than alleviating them. While the problem is hidden and non-visible, it also is addictive and causes damage to the body. The new discoveries in the effects of marijuana are helping other countries legalizing cannabis-made products every day. If you suffer from insomnia, anxiety or inflammatory-related pain, drinking this milk may help you out greatly. 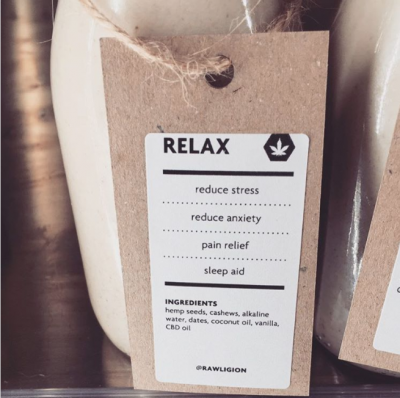 Relax, by Rawligion is an organic milk that contains hemp seeds, coconut oil, cashews, dates, water, vanilla and CBD oil. This wonderful new cannabis edible made straight from dairy-free CBD nut milk, ensures a soothing and relaxing sensation going to your stomach. 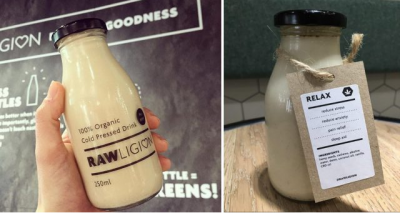 Michael Isted, a development consultant for the plant-based food company that made it to the UK market, and psychotherapist, created this product. The milk will certainly not give you a high, as it has no THC (the psychoactive component within marijuana). CBD works in ways that help maintain homeostasis (the general state of balance). The endocannabinoid system is a vital system that helps in the regulation of body processes. It’s made from millions of brain and nervous system receptors. This is how CBD can boost your sleep, mood, hormone regulation, your pain and immune response in a great way! Rawligion’s founder, John Taba, says CBD is highly useful and customers say it’s a tranquil drink that calms them down. Of course, you should consume in moderation. And how does the Relax milk taste like? It tastes almost like Almond milk, with a earthy taste. It also has a cannabis aftertaste. It's the perfect solution for a great rest! Please share with those you know who might be interested!